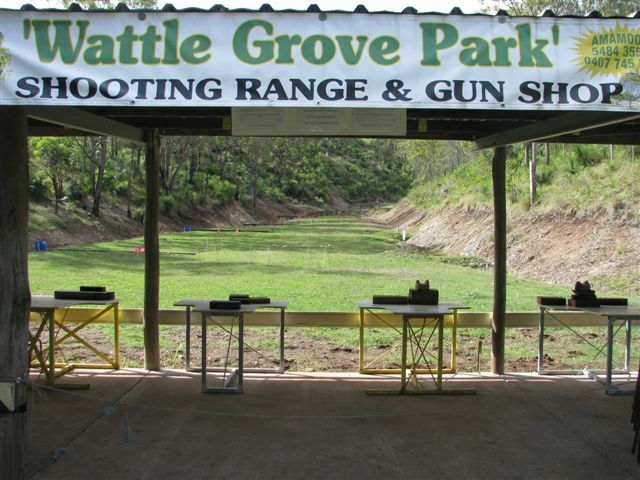 Both the Gun Shop and the Shooting Range are closed on Easter Sunday, Anzac Day and Christmas Day. Please contact us to book the Shooting Range or to visit the Gun Shop. We would hate for you to arrive to find the gates locked because we did not know to expect you. Please note there is no mobile phone service at ‘Wattle Grove Park’. See all 2019 Shows in the Gun Shop/Arms Fair section. For April & May 2019 dates please contact Troy on 0408 432342 or email him on troyharper@qldtrainingcentre.com.au to make your booking. Troy is qualified to instruct for Cat A, B, C, D, H and M.
Bruce & Wendy are qualified to run the NSW ‘R’ License Course, and at a time to suit you. The cost is $50 and this goes directly to the A.D.A. Gympie/Mary Valley Branch. Contacting Us: Please send an email to wattlegrove@skymesh.com.au It is difficult to get us on the phone but we answer all emails. We update our pages as often as possible however there will be times when we have missed something. If you are looking for particular item and can’t see it here please email us.